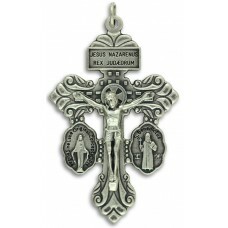 This is the popular "4-WAY" medal, with flip ring, ready to put on your chain or rosary. Finely detailed. These come in bulk buying packs of 50, so if you need a bunch, please order in lots of 50 for fastest order processing.